James Steeley is a private investigator. 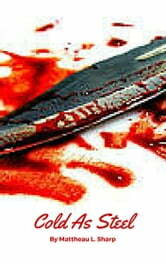 A client of his is found murdered by a serial killer, and the murderer is now targeting Steeley&apos;s family and friends. Working alongside Detective Elizabeth Rifton, he must find the killer before he loses everything.